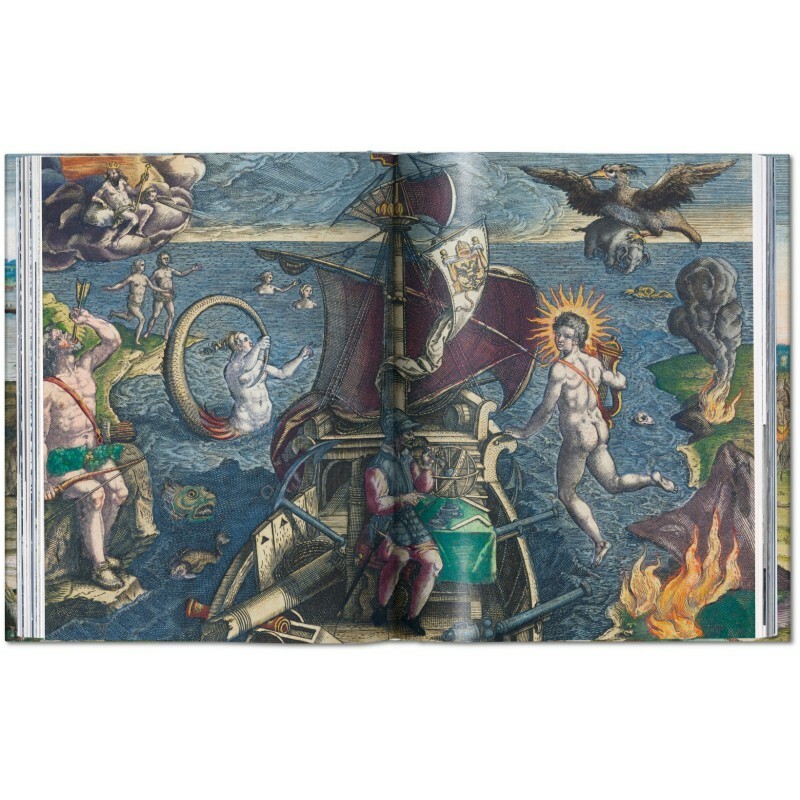 When Flemish engraver and publisher Theodore de Bry issued the first volume of his America series in 1590, the New World was, for most Europeans, truly novel. 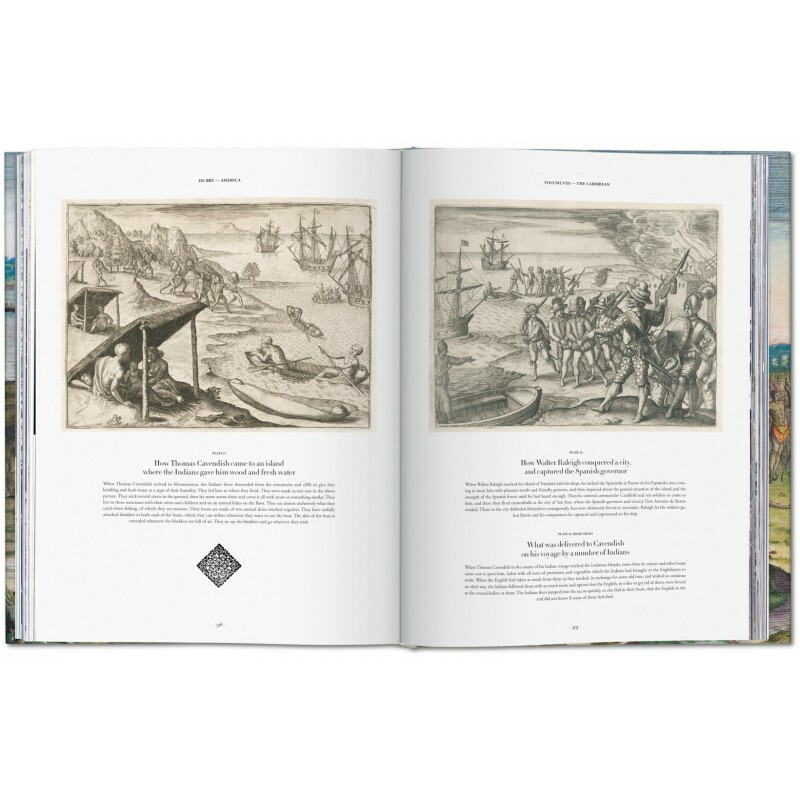 Gleaned from the travel accounts of adventurers like Thomas Harriot and Sir Walter Raleigh, De Bry’s magnificent engravings brought the new continent and its inhabitants to an enraptured audience across the Atlantic. From “Virginia” (today’s North Carolina) and Florida through Central America and down into Patagonia, the first nine volumes of America depict scenery and encounters between native Americans and Europeans, revealing the latter’s perceptions of the former. 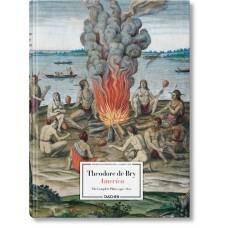 Portrayals of European discovery and native American customs were based on the explorers’ reports as well as De Bry’s own imagination, he himself never having traveled to the New World. 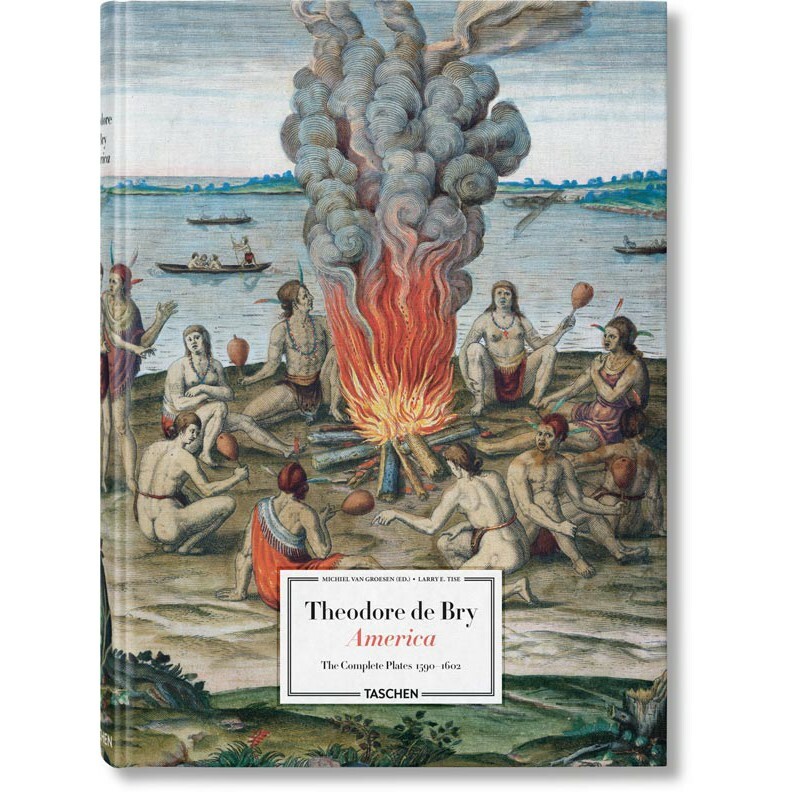 Although based in Frankfurt, De Bry laid the foundations of the series while in London, collaborating with artists John White and Jacques Le Moyne, whose original watercolors he adapted for the opening two volumes. 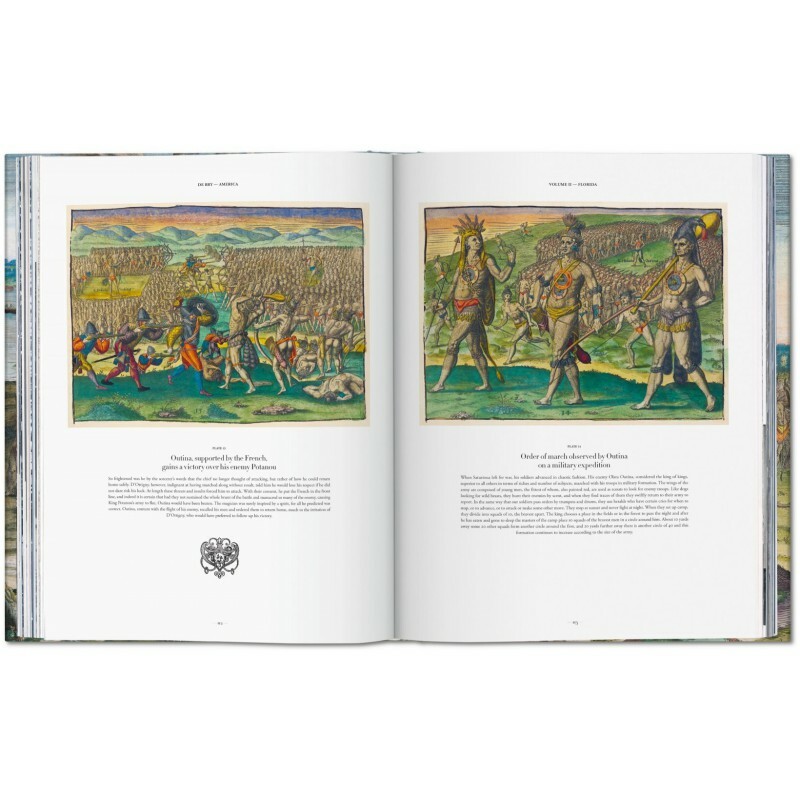 With his sons, De Bry formed a family enterprise known for exquisite copper engravings and high-quality illustrations unrivaled in their mastery. The legacy of America is profound, coloring Europe’s earliest visions of the Atlantic world. Countless European illustrations would, throughout the following centuries, draw inspiration from the spectacular collection. 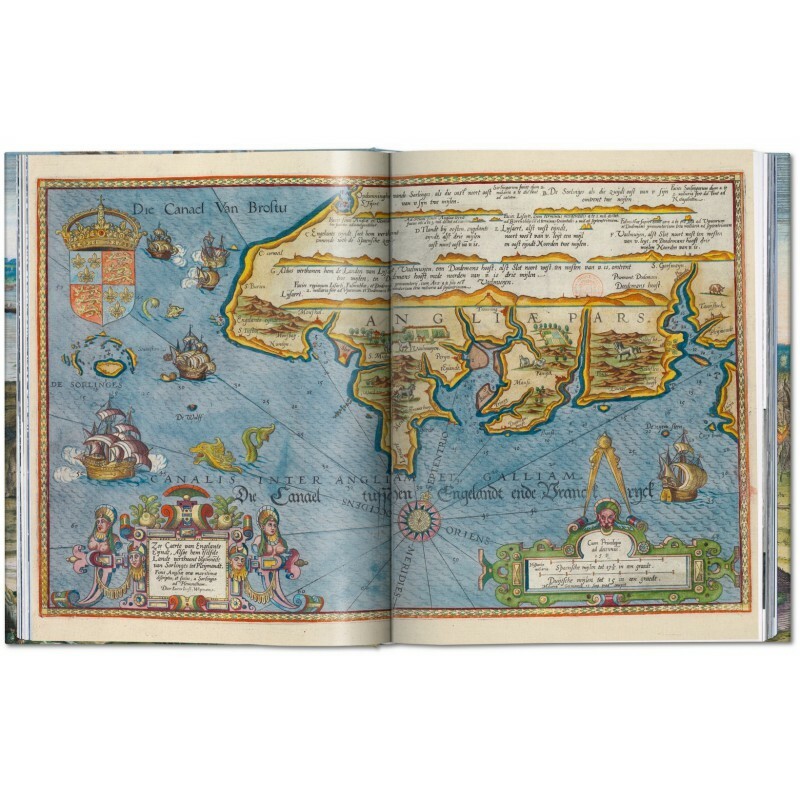 TASCHEN’s edition pays homage to De Bry’s finesse, reprinting all 218 plates from the first nine volumes alongside their respective frontispieces and continental maps. 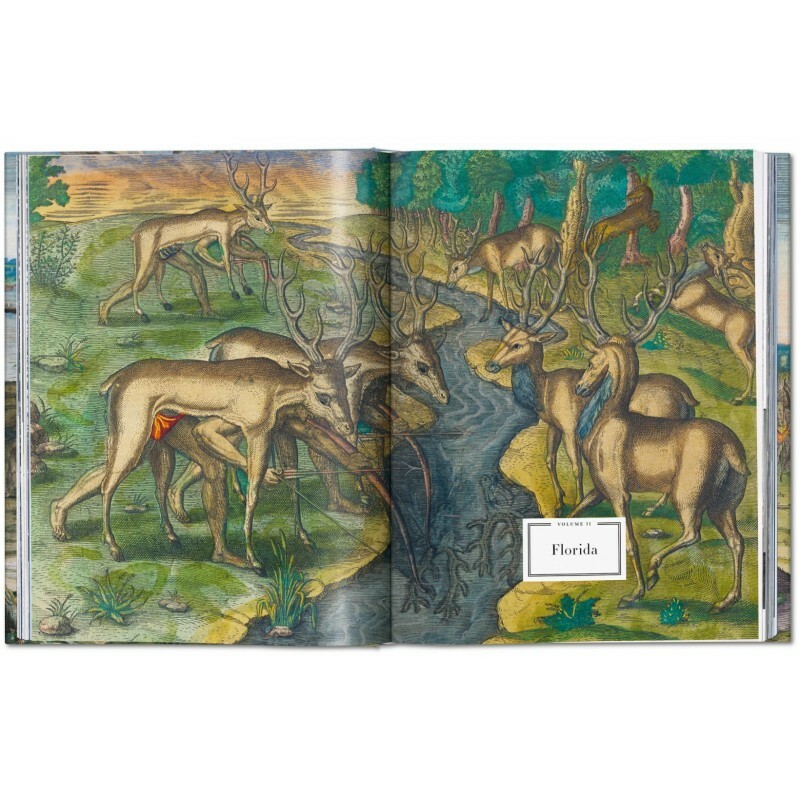 Volumes I to VI are based on the original hand-colored editions held at the John Hay and John Carter Brown Libraries at Brown University in Providence; volumes VII to IX are from the Staats- und Stadtbibliothek in Augsburg, Germany. Exceptionally rare even at the time of their completion, De Bry’s hand-colored America can finally be admired by all, in XXL resolution. Michiel van Groesen is Professor of Maritime History at Leiden University, the Netherlands. He was previously Associate Professor of Early Modern History at the University of Amsterdam, as well as Queen Wilhelmina Visiting Professor at Columbia University in New York. Van Groesen specializes in European conceptions of the early modern Atlantic world and is the author of two books: The Representations of the Overseas World in the De Bry Collection of Voyages (1590–1634), published in 2008, and Amsterdam’s Atlantic: Print Culture and the Making of Dutch Brazil (2017).